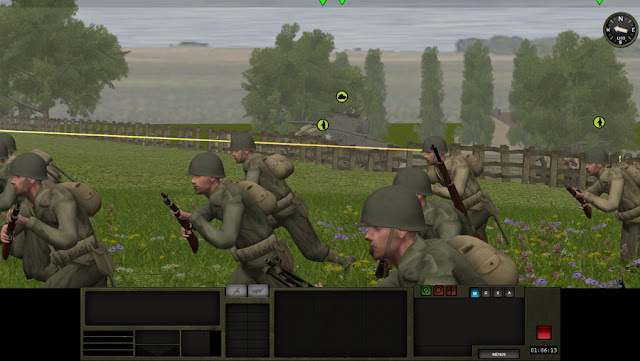 Combat Mission Battles for Normandy (CMBN from here on) has been patched to v1.01 and it was about time I sit down and enjoy this one. Mesmerized by Doubler's fantastic research on the battles fought over bocage country in France, I wanted to see if CMBN stands as a good tactical simulation of this particular type of fight. 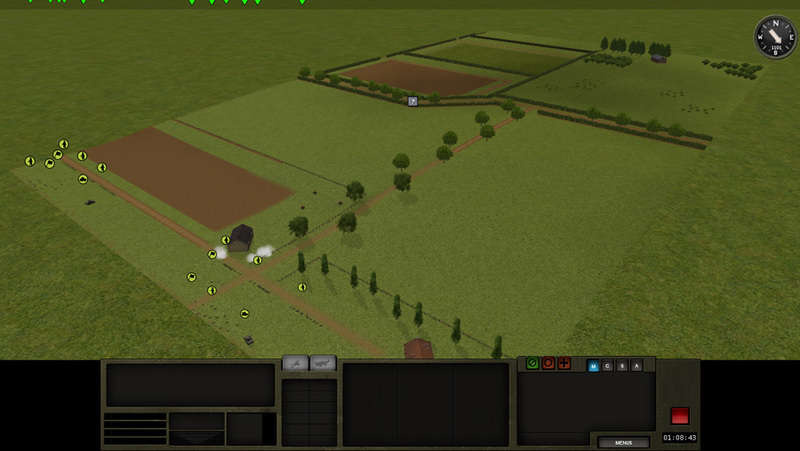 So here is the map where I commanded two platoons of American infantry in a particularly vicious battle. 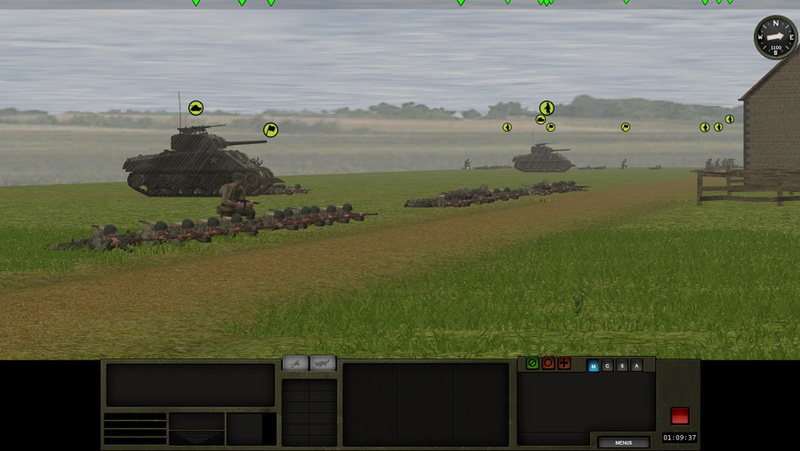 Green round icons are American troops under my command. My forces are split in two teams each one composed of an infantry platoon, an engineer squad and a rhino-equipped Sherman tank.